Strawberries are a fruit for both amateurs and experienced gardeners alike. They can be grown in a vegetable plot or patio pot if space is limited. Beautiful white flowers appear in spring, followed by attractive, sweet tasting flesh red fruit. 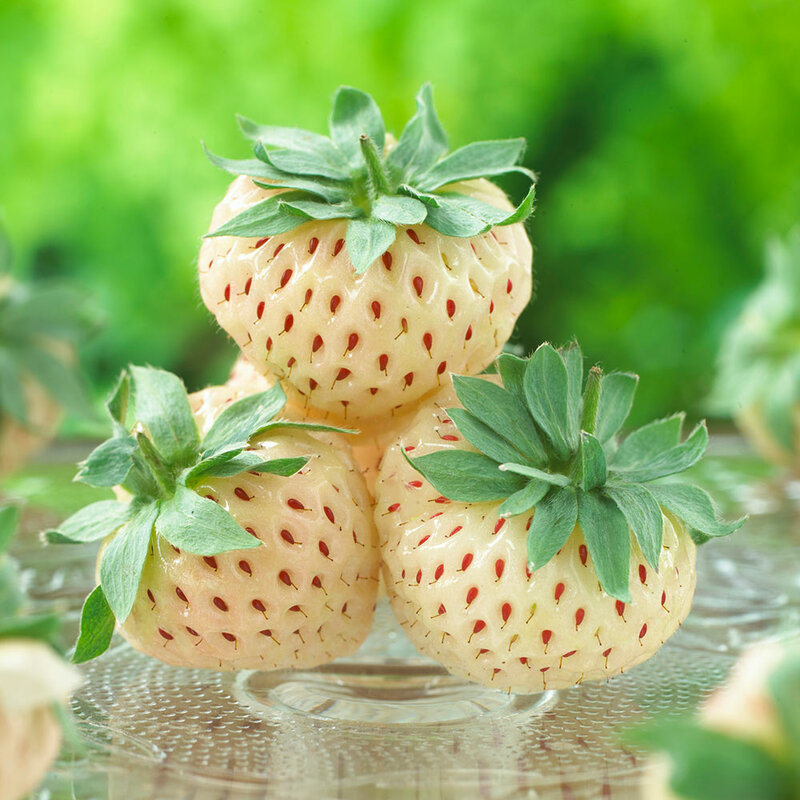 What a real novelty Strawberry Pineberry is. This variety was flying off the shelves in the supermarket last year, and it is easy to see why. 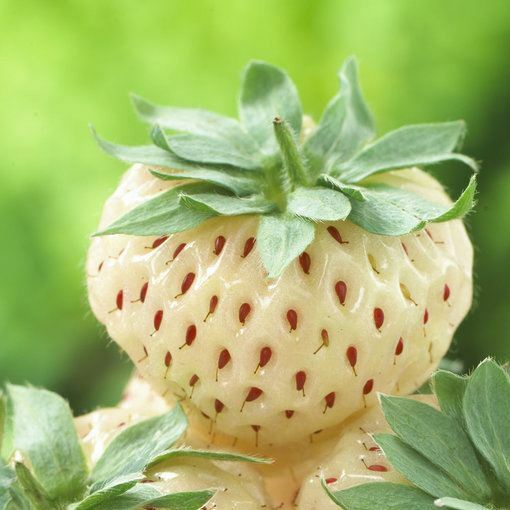 This new variety looks like a Strawberry but with a taste not unlike that of a pineapple. It combines the shape and texture of a Strawberry but with the flavour and smell of a pineapple. 7cm pot plants supplied.